Up for sale is my medium 2014 Canfield Jedi. I built up this bike new in October 2014, and have had it regularly maintained by my LBS. The bike has seen very minimal riding here in San Antonio (because it's basically flat here), so almost all of its use was in Angelfire, New Mexico during the summers of 2015 and 2016 with about 25 total days on the mountain. The bike is in great shape with minor chips and cable rub that I have tried to clearly show in the pictures. The fork and shock were just serviced at the beginning of this summer and have not been ridden since then. 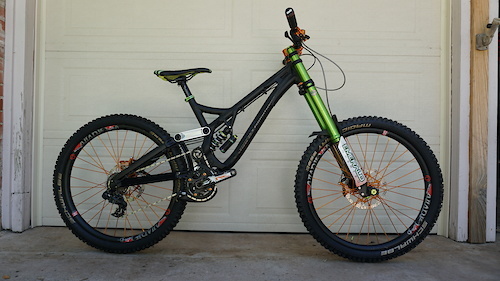 If you also believe that 26'' wheels aren't dead, then it doesn't get much better than a 26'' Canfield Jedi! Here's the details on the build:: Frame: Medium Canfield Jedi Fork: DVO Emerald Rear Shock: DVO Jade (425# Titanium Spring) Wheelset: Industry Nine Torch (Orange Hubs with Orange Spokes on Industry Nine's Gravity Rims) Tires: Schwalbe Magic Mary 26'' X 2.6'' (Front is brand new, Rear is lightly used) Cassette: SRAM 10 Speed Chainguide: Canfield MRP G3 Chain: SRAM Derailleur: SRAM XO DH 10 Speed Shifter: Sram X9 10 Speed Brakes/Calipers: Orange Hope Tech 3 V4 Rotors: Orange Hope Floating Disc 203mm Cranks: Shimano Saint 165mm Bottom Bracket: Orange Chris King Headset: Orange Chris King Seatpost: Thompson Elite Saddle: Diety Stem: Easton Havoc 35mm clamp, 35/50mm length Bars: Race Face SixC 35mm Carbon Grips: Oury Lock Ons If there is something I didn't list, or you would like more pictures or if you have any questions at all please feel free to message me! Price includes shipping within the lower United States. This is a 2014 Cane Creek Double Barrel Air rear shock with XV air can, 8.5' x 2.5', that was recently serviced by Cane Creek so it is in perfect working condition. This shock has been ridden for two seasons on my trail bike and was serviced at the end of each season by Cane Creek so it is in great shape. There are no scratches on the stanchion or any other damage to the shock body. 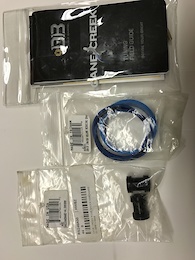 I have the original air volume spacers and tuning notebook that came with the shock as well as a new hardware kit that is 44.0mm x 8.0mm. I am selling because I wanted to match my DVO Diamond fork with a Topaz rear shock. Price includes shipping within the country. Message me with any questions- Thanks! I've got my 2013 Fox 34 140mm CTD Kashima 29er fork for sale. The fork was ridden for about a year and has recently been professionally serviced. 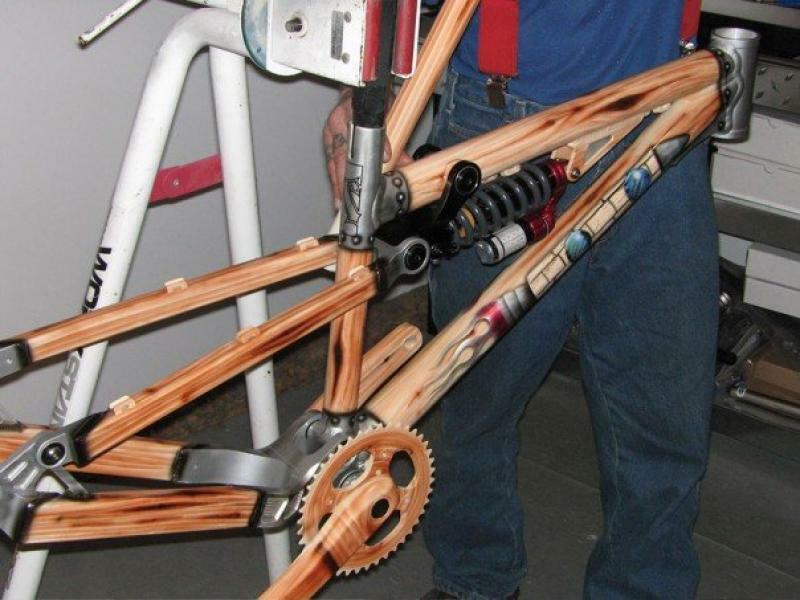 The Kashima coating is in perfect condition with zero scratches, rubs or wear spots. The rest of the fork is in very good condition with minimal scratches and signs of use. The steer tube is just over 6.25" long. Please ask any questions you may have. Price includes shipping within the U.S.
Race Face Turbine 175mm crank set with Race Face Narrow/Wide 30T chainring. Both are very lightly used, as they came new on my girlfriend's bike and we swapped them out after a few rides. The cranks don't have any scratches, rock hits or dents and are in excellent condition. Let me know if you have any questions, Thanks! Selling my Turquoise Deity Decoy pedals. They were ridden a handful of times before being taken off, so there are a few dings that I have tried to show in the pictures, but they are in excellent shape overall... Price includes shipping. Let me know if you have any questions, Thanks! Selling my very lightly used 2015 Fox 36 Float FIT RC2 Kashima Fork. It has 160mm travel and is for 27.5'' wheels. This fork was purchased new with my Yeti SB-6c in March 2015, and am only selling because I just bought a DVO Diamond. The fork has very minimal use, with about a dozen rides on it. The fork is in absolute perfect condition, with no scratches or marks in the Kashima coating or lowers. The steerer tube is cut just shy of 7.75''. Price includes shipping within the United States. Let me know if you have any questions- Thanks!